The system’s software has to be upgraded, because the technical means are expected "to identify the new missiles and work with them"
KOLOMNA, September 14. /TASS/. New types of missiles have been created for the tactical missile system Iskander-M, the general designer of the Kolomna Engineering Design Bureau KBM, Valery Kashin, told the media on Thursday. 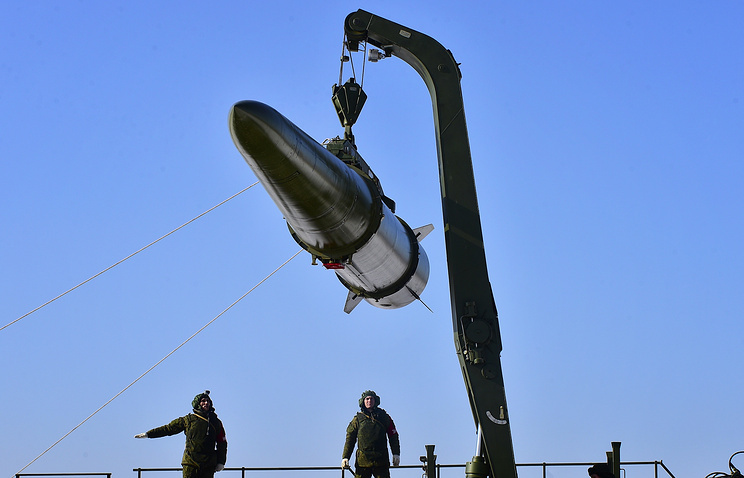 "We are going ahead with further research and development to create new missiles for the Iskander system. It keeps developing. Several types of missiles have been created. They look alike, but internally they are fundamentally different from each other. Now we have seven types of missiles, or possibly more," said Kashin, who on Thursday turned 70. The system’s software has to be upgraded, because the technical means are expected "to identify the new missiles and work with them." Kashin said the creation of new types of missiles by no means contradicted the INF treaty. In 2015, the KBM’s general designer told TASS Iskander-M might be equipped with five types of ballistic missiles and one cruise missile. 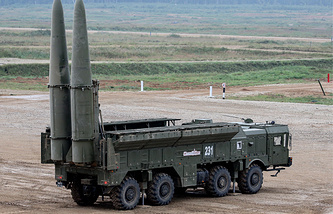 Iskander-M is capable of eliminating such targets as multiple rocket launchers, long-range artillery, command and communication centers and planes and helicopters on the ground within a range of 500 kilometers.